Behind every successful man there is a woman and in my opinion the reverse is true. Women empowerment movements today may think otherwise. Well, I believe that the ladies just want to express their natural power and intelligence that existed behind the scenes for a longtime. 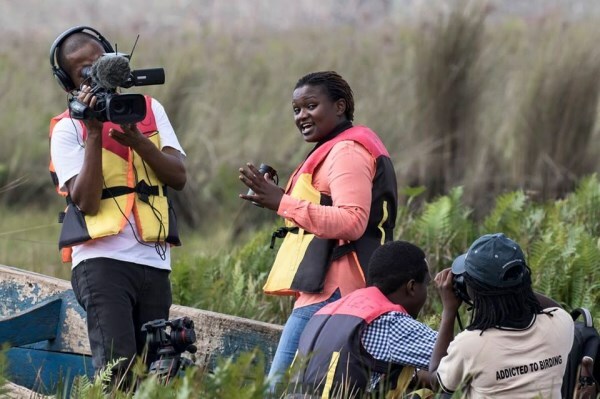 True on this day January 15 2017, the birding ladies’ prowess was finally recognized by BBC World in Uganda. 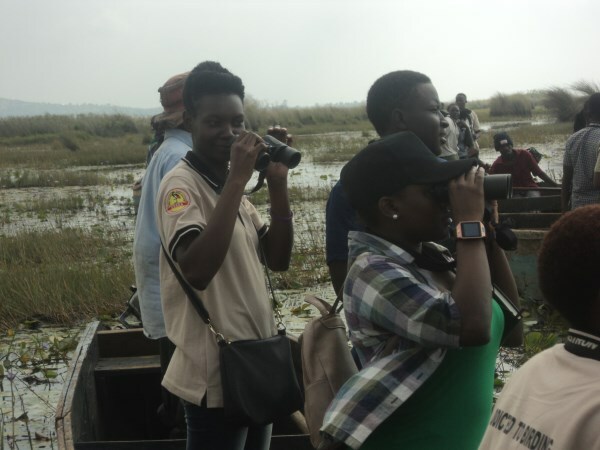 BBC World on this maiden trip chose the Uganda Women Birders Club a ladies birding division of Uganda Safari Guides Association (USAGA). 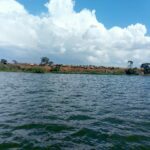 It is also a Ramsar Site since 2006 due to its importance as a habitat for the globally endangered species like the Shoebill and a stopover for migratory birds. 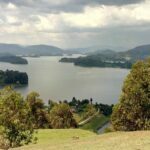 It supports over 300 species of birds, community livelihoods through eco-tourism, fishing, agriculture and other activities.It is an ideal place for a one day trip or an add-on to other safaris in Uganda. Meeting point was at Uganda House on Kampala road the tradition meeting point for USAGA FAM trips. That morning the ladies managed to keep time to make the trip. The team leader was Judith Mirembe the Chairperson. For the gentlemen like me and others we also managed to join the ladies because…behind every successful woman there is a man too. 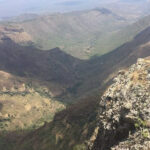 I know the readers of this blog post will agree or disagree with what makes a man or woman successful but that can be a story for another day. 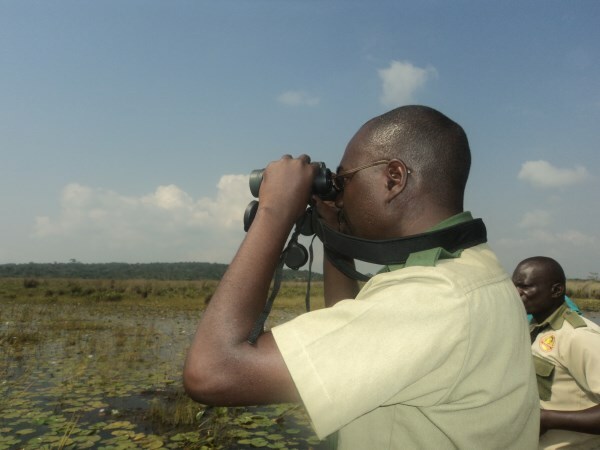 Mabamba marsh land is an Important Bird Area for the Shoe bill and other bird species .It is a popular destination for birding. Birding is done by boat with the guidance of the community site guides.When we arrived at the site, we did not waste time on pleasantries. 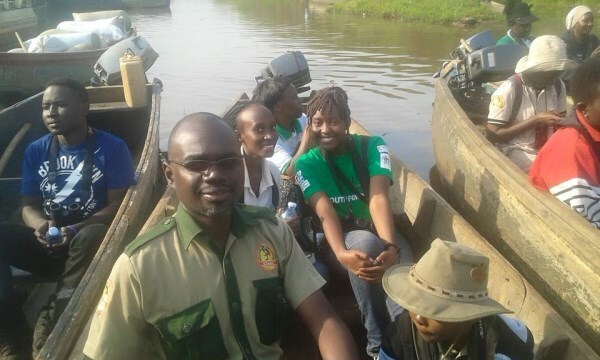 Boats were organized and each of us was allocated a boat in groups of 5-7 individuals with the assistance of Herbert Byaruhanga a renown birding enthusiast and also the Chairman of Uganda Safari Guides Association. 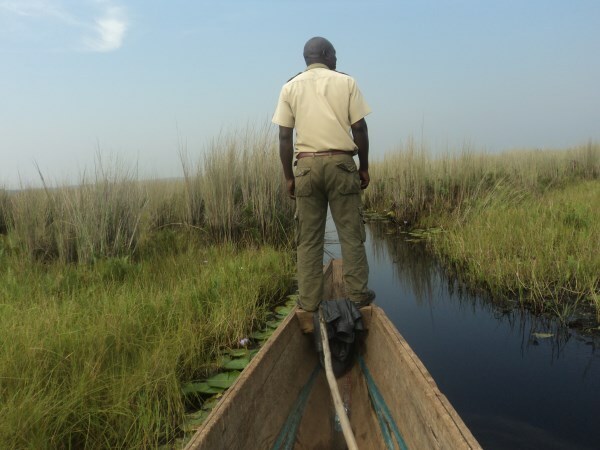 At Mabamba, we glided through the water channels bordered by papyrus plants. The bird search started immediately. 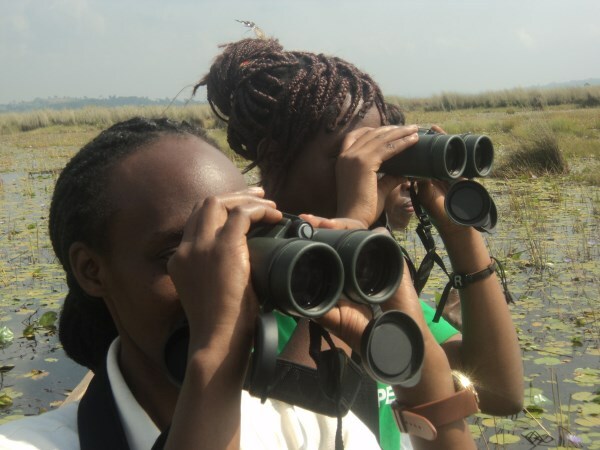 Although our mission was to spot the Shoebill, normal birding activity involves the identification other water birds. The search continued to trace the Shoe Bill. I was lucky to be on the leading boat with the site guide Ismail who was very knowledgeable about the birds. He managed to identify several birds along the way before he sighted one Shoe bill in flight after about 1 hour and twenty minutes of searching. We thought it will land on the marshes but it just continued farther up in the sky. We thought our chances for seeing it had run out. Our eagle eyed guide,asked his colleague to move the boat ahead for another chance in the marshes. To him it was good signal for another one nearby. Indeed he applied the “Never give up” expression. The search continued and a few minutes later he spotted one in the marshland. Some birds seen on that day included the Purple Heron, Black Crake, Hammerkop, African Jacana, Lesser Jacana, Long toed lapwing, Blue-breasted Bee eater, Malachite Kingfisher, African pygmy Goose, Angola swallows, Pied Kingfisher, Winding Cisticola, Fan tailed widow bird and Yellow billed duck. 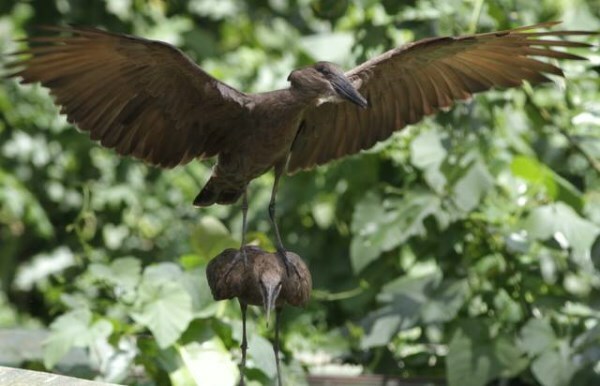 This bird is known to stay in one place for long hours as it waits for its prey which may be fish or frogs. Indeed on that day it stayed in one place until we started our journey back to the landing site. 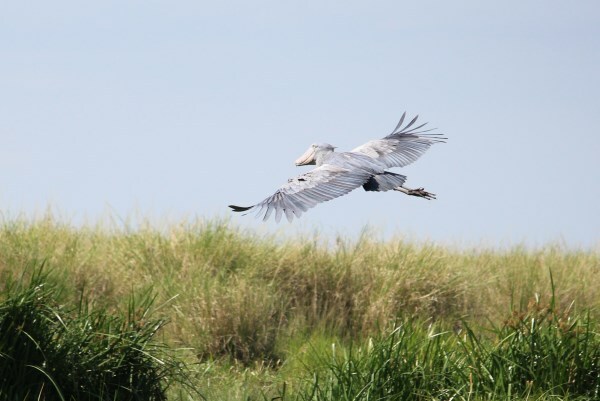 Even if you are not a birder or birding enthusiast, the tour of this renowned Shoebill habitat is always an exhilarating experience not to be missed on your itinerary. 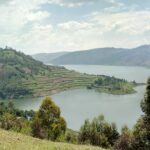 It can be combined with other safaris such as gorilla trekking at Bwindi impenetrable national park,Chimp trekking at Kibale National National park and boat rides along Kazinga channel at Queen Elizabeth National Park.